San Fernando City, La Union—After the onslaught of typhoon Mangkhut [Ompong], the Dept. of Social Work and Development Field Office 1 (FO 1) continues to provide relief supply augmentation to affected families and individuals in various municipalities and cities throughout Region 1. 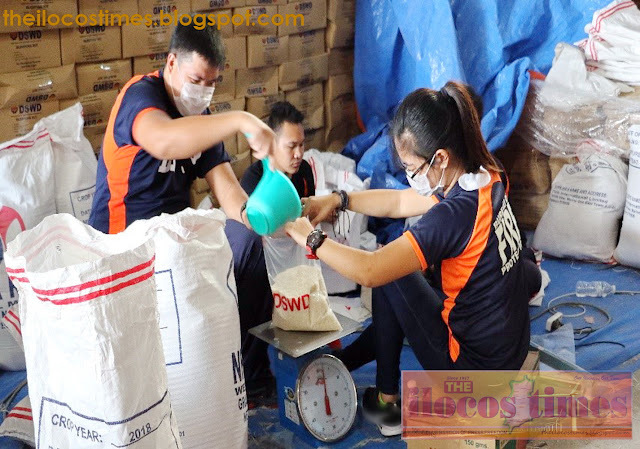 As of 18 September 2018, DSWD FO 1 has provided 11,560 family food packs amounting to PHP4,161,600.00 and 6,796 non-food items comprised of sleeping kits, hygiene kits, and family kits amounting to PHP10,440,151. In addition, local government units (LGUs) have extended a total assistance of PHP158,300.00 while non-government organizations (NGOs) augmented PHP1,950.00. A total of 262,385 individuals or 62,647 families from 921 barangays of the four provinces of the region were affected by the typhoon. Likewise, 394 evacuation centers are currently catering to 49,864 individuals from 12,963 families in 88 cities/municipalities. According to official reports, due to landslide and flash floods, there were 87 totally and 1,947 partially-damaged houses. Assistant regional director for operations Marlene Febes D. Peralta shared that continuous manual repacking, with the support of community volunteers and other government agencies, is being conducted to facilitate all requests from the LGUs. She also emphasized that the DSWD family food packs should not be altered and must be directly given to affected families and individuals to address their immediate needs.